THE CLASSIC MARVEL SERIES RETURNS FOR MARVEL'S 80th ANNIVERSARY! Three titanic tales celebrating the first decade of Marvel stories! 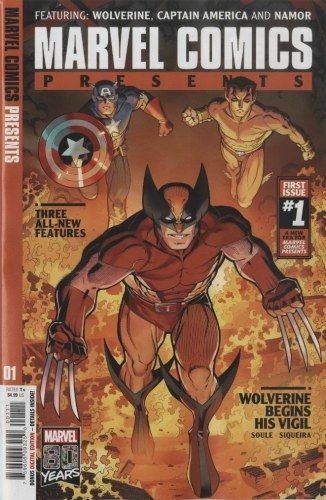 First - an all-new tale of the man they call the Wolverine begins in the 1940s! Then comes Captain America, the first Avenger of World War II still fighting for freedom today! And finally, the untold tale of Namor and the atom bomb!